This is where Kibbutzx Ein Hanatziv was started in 1946 and where in 1969 Katushas and mortar attacks from Jordan hit. During the Second Intifada, in the 2002 Beit She'an attack, six Israelis were killed and over 30 were injured by two Palestinian militants, who opened fire and threw grenades at a polling station in the center of Bet She'an where party members were voting in the Likud primary. In biblical times, the Land of Israel was covered with forests, more like the Pacific Northwest of the USA. In the centuries that follow, and especially during the Middle Ages, many of the forests were destroyed by nomads and their goats. Some forests were used as fuel by the Turks for their military trains during the 400 years prior to 1914-1917's WWI. Of the ancient forests, very few survive but are mainly found in the Galilee. In 1948 there were 4,388,000 trees in Israel. By 1970-71, there were 103,000,000 trees which were mostly all planted by the Jewish National Fund. This is when you paid so much money as a gift in someone's name for a tree that would be planted in Israel. Today, there are 7,933,200 people living in Israel, a country of 8,000 square miles which is 263 miles long and from 9 to 71 miles wide. It would take 76 Israels to fit into Iran, or 2 Israels to fit into Switzerland. The Land then abounded in wild animals which included lions and bears. Both are found now only in Israeli zoos. Hyenas, jackals, wild-cats, lynx, otters, mongoose and the spotted weasel are the main beasts of prey. There are also wolves and leopards in Galilee. Gazelles have multiplied, and porcupines are plentiful. There area 3 species of hedgehogs and several of shrews. The wild boar is hunted. 400 species of birds are found and Lake Kinneret is rich in fish. 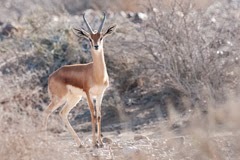 Since Israel was re-established on May 14, 1948, several areas have been set aside as nature reserves. Most of them are open for hiking and picnicking. There are 4 zones found in Israel on this tiny speck of land that only amounts to 8,000 square miles, about as big as the state of Rhode Island. It ranges from semi-arid to temperate, then sub tropical. There is the coastal plain which is the Valley of Jezreel, the mountains of the Galilee of the north and Samaria and Judaea in the center, and then the Desert and Jordan Rift Valley. There is also the Negev which is a prairie and has mountains and also the Sinai Desert which separates the Land of Israel from the Land of Egypt. The largest problem faced is water. This was the land of wheat and barley and vines and fig-trees and pomegranates, a land of olive-oil and honey, says the Bible. The Jews have added bananas, oranges and other citrus fruits which grow on the Coastal Plain with irrigation where they receive great soil and sunshine. Deciduous fruit trees grow everywhere and like the cool hills. You can see dates, bananas, avocados, guavas, mangoes in the hot Jordan Valley and Coastal Plain. The grains, vegetables grow well along with tobacco, cotton, groundnuts and sugar-beets. 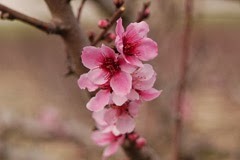 Fruit trees bloom in January, and from then till April the slopes of the Carmel range are a riot of color and perfume. What I loved were the orange blossoms everywhere. Indigenous trees like the Jerusalem pine, tamarisk and carob are used in afforestation. Eucalyptus trees had been planted extensively because they soak up the water in the malaria-filled swamps and helped to make the land more livable. Pine forests in the mountains and acacias on the Negev dune-lands have been planted. Grapes have been planted once again for wine. Israel is now producing many types of wines, both white and red. They are rating as good as any French wines. Strawberries are sold on the street corners by the kilos. Hotels feature strawberries and ice cream. The land is full of medicinal herbs and wild flowers. In December, one can see flowers such as hyacinths, crocus and narcissus. After that come the anemones, tulips, cyclamen, iris, daisies and more. Hothouses are found in villages supplying the domestic and export markets with millions of blooms. There are roses, gladioli, tulips, gerbera and chrysanthemums. Dairy farming has been a major endeavor taken on by many kibbutzim. Israel produces the best milk products of so many varieties which all beat any I have tasted in the USA. Their yogurts back in 1980 were outstanding. They had all types, drinkable and spoon-eaten. Yes, the land is flowing with milk and honey. Everything was so natural; so many organic products. 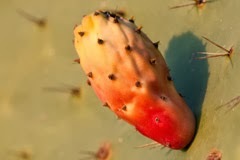 The sabra, which is the fruit of the cactus, has a prickly exterior and the sweetness and savour inside. It has become the icon of the native-born Israeli. They are said to be prickly on the outside when you first meet them but oh so sweet when you get to know them. They have a huge heart. In the 1880's when the first aliyah of Russians returned to the Holy Land in 1882, they found deserts and swamps. The land was full of weeds and that was about it; dust and weeds and camel dung. It was as if the land was waiting for the last 2,000 years to be taken care of once again. It was in a horrible state, somewhat like the movies on the history channel of what would happen to the USA if suddenly all the people were gone. The flora and insects would take over, and that's what happened in the very hot and dry land that used to be Israel and Judah. The Russian Jews had to be on guard for marauding Arabs that would fire on them. 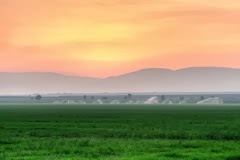 By 1910, the first kibbutz, Degania Alef was started where they raised wheat, barley and oats. The Settlers by Meyer Levin, a novel. set in Palestine from the turn of the century to the Balfour Declaration and covers over a quarter of a century; the Jewish pioneers, tyranny of the Turkish overlords, Jew and Arab neighbors with blood feuds and hatreds, WWI, Russian Revolution, with Chaimovitch family who fled Czarist Russia to live on the strange, barren faraway rocky, parched land.